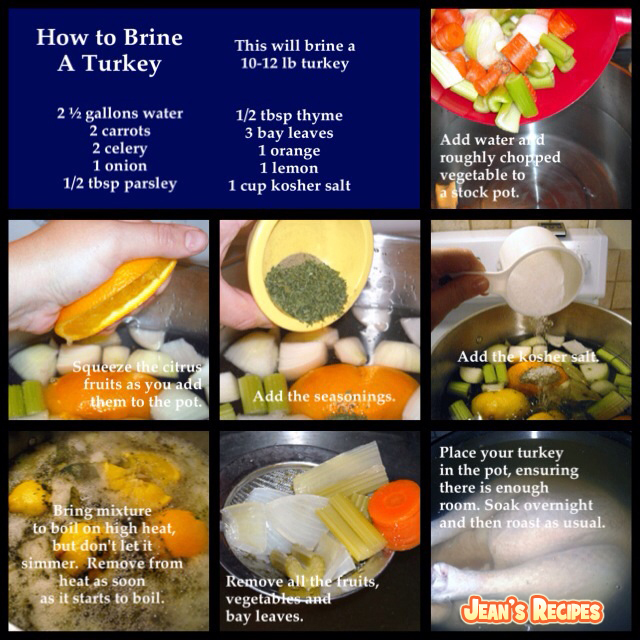 If you haven’t done so already, allow yourself one day to brine your turkey. 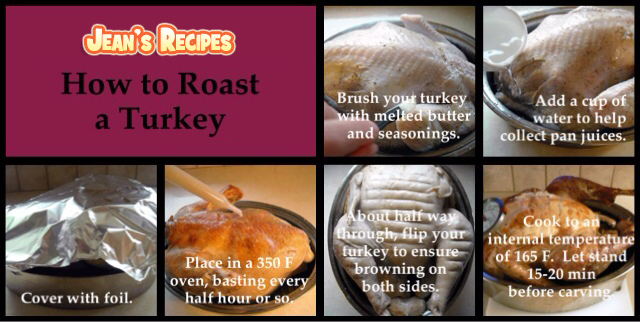 Brush your turkey with melted butter and seasonings. Add a cup of water to help collect pan juices. Place in a 350 degree F oven, basting every half an hour or so. About half way through, flip your turkey to ensure browning on both sides. 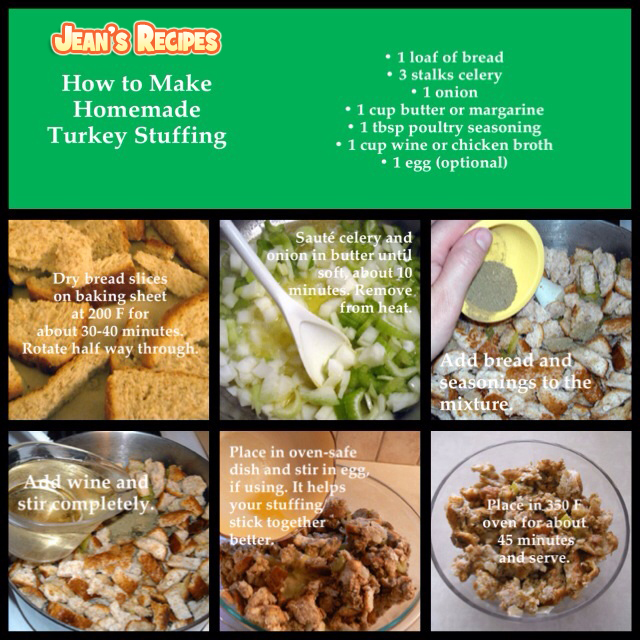 Cook to an internal temperature of 165 degree F.
Let the cooked turkey stand for 15 to 20 minutes before carving.